My review of THE LEGO MOVIE is on Crimespree. Kent Morgan lives in Winnipeg, Manitoba where in retirement he co-writes two sports columns, plays hockey twice a week, and tries to figure what to do with all the books in his house and garage. 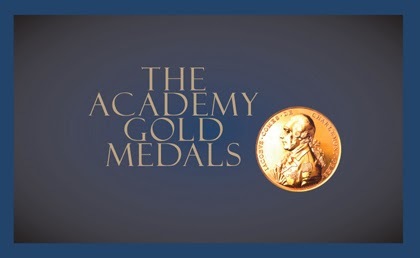 Here is a list of the movies that have won best picture at the Academy Awards. Which ONE would you say was the best choice; which ONE the worst. I am going with CASABLANCA as the best choice and FORREST GUMP as the worst. Both were hard to choose for me. There were many contenders. In a movie I recently saw (no spoilers here) a man prized a collection in his basement to the point that no one was permitted to lay a hand on it. I also think back on DINER, where a character berated his wife for touching his record collection (or at least not refiling albums correctly). Do you have any collection, hobby, etc. that you don't want touched? This is a screwball comedy of 1937 starring Cary Grant (in the movie that made him a star) and Constance Bennett as a couple that die in a careless accident, then come back to haunt Cosmo Topper (Roland Young) their uppercrust banker. Charming, I remembered it, and so was the TV show that followed it with Leo J. Carroll playing Topper. Okay, here's the thing. I saw this movie was on TV and thought it would make a good choice for this post. I watched it and boy, was I disappointed. It dragged terribly and the same jokes popped up over and over again. What should have been quick bits, were not. Cary Grant disappeared pretty much after the first half hour and Constance Bennett is just not very good. Roland Young was very fine in his bits but boy, no clever dialogue and so preachy. A big disappointment. Why waste something as cool as ghosts on just dispensing advice. In GOODBYE, COLUMBUS, by Philip Roth, there is a very minor character that has stayed with me for the forty plus years since I read it first. The protagonist has a job at the Newark Public Library and he notices a young black boy spending his summer days looking at art books. The boy confesses that it is Paul Gauguin he loves to look at. He can't imagine a place like Tahiti. Neil goes on to protect the boy from the other librarians who believe he will deface or steal the book. And it is that boy I remember today. Roth painted the boy so vividly, and also that library in Newark. I can picture him still paging through that book on an upper floor, dreaming about going to a place like Tahiti. 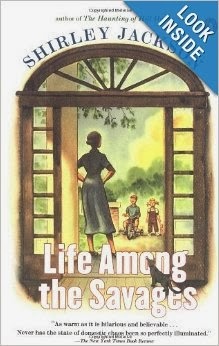 Is there a minor character in a book that you remember well? The original NYT review, right here. 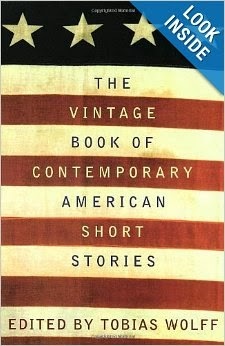 For me, one of the greatest anthologies is THE VINTAGE BOOK OF CONTEMPORARY AMERICAN SHORT STORIES, edited by Tobias Wolff more than 20 years ago now. These were the short story writers I grew up on-at least grew up on as a short story writer. Contributors include: Mary Gaitskill, Thom Jones, Andre Dubus, Tim O'Brien, Chris Offutt, Raymond Carver, Joyce Carol Oates, ; Robert Stone, Mona Simpson, Ann Beattie, Jamaica Kincaid, "Girl"; Stuart Dybek, Barry Hannah, John Edgar Wideman, Ron Hansen, Denis Johnson, Richard Ford, etc. These were the finest writers of that era and many are still today. 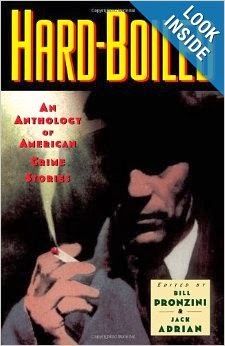 My favorite crime anthology is Hard-Boiled, a chronological assemblage of some of best crimes stories by all of the best writers beginning with Dashell Hammett and ending with Ed Gorman, and including every major crime fiction writer in the field in between. What are some of the greatest multi-authored anthologies for you? My review of GLORIA is up on CRIMESPREE MAGAZINE. I saw this in vintage paperback in a bookstore in Carlsbad, CA and remembered reading Lawrence's books (I think there were about four or so) back in the day. This was not the cover I saw. 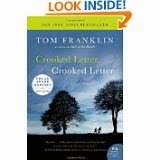 This review is largely borrowed from Good Reads because I didn't spend the $ to buy it. Ruth Miller moves into Hope House, a home for working girls (and not in the newer meaning) and was found dead shorty after. The home officials cover it up, getting an official verdict of "fell or jumped," Nobody knows Ruth well enough to look into it. But it turns out that Ruth did have a friend, whom no one--certainly not her murderer--had bargained for, and she was determined to see justice done. Mine would break down something like 10% HB new; 10% used, 10% paperback new, 20% PB used, 15% ebooks, 35% library and a scattered few are borrowed. 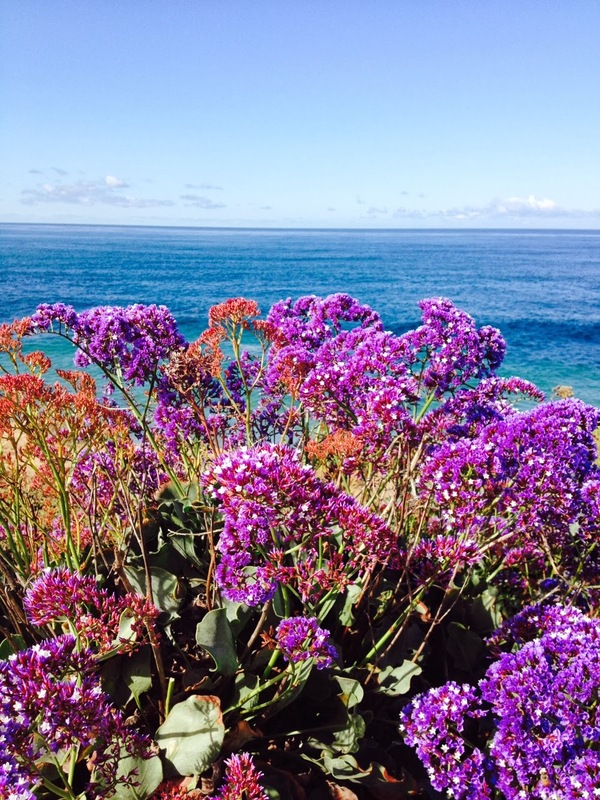 I haven't talked too much about what we did in California because mostly we both write or take walks or look at the ocean or attend book talks or musical events. Nice I know but not particularly interesting to hear about. But today (last week) we did something some of you might like. We went to Leo Carrillo's ranch outside Carlsbad, CA. It is now a park and fairly untouched by time or over-eager hands. It is quite large (2500 acres) and has much of the ranch equipment and out -buildings in had back in the day. And the "day" preceeded his years there, actually beginning in 1868. This is how CA looked before movie stars and surfers took over. His ranch was a hangout for Hollywood types like Clark Gable who liked the ranching life. While there we ran into three peacocks. Oh, happy day! 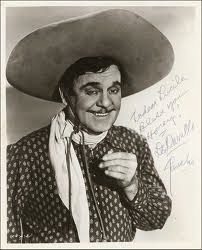 For you youngsters, Leo starred with Duncan Renaldo in the Cisco Kid, a TV series (and earlier a few films). But he had a long history in film and vaudeville and was also a political cartoonist. 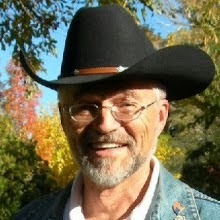 Will Hutchins starred in this western from 1957-61. He played Tom Brewster who came to the Oklahoma territory after a correspondence course A sugarfoot is a step down from a tenderfoor. Not much gun play here because he preferred to use his wits or his rope to settle things. Jack Elam sometimes played his buddy. This was one of the gentle westerns and Hutchins appealed to the ladies.He only drank sarsaparilla, further setting him apart. One of my favorites perhaps due to its star. What book exceeding 600 pages was most worth the long read? Still reading this one so I cannot weigh in yet. Every once in a while, I learn of a new cool place to look for forgotten books. And here is a great one. Go browse their inventory. Wish I lived closer to the store. They are located, brick and mortar-wise at 1048 Fort St. in Victoria, BC, CA. But they are available online from anywhere. Stores like this need our support. I found several great ones in SOCAL recently. You might save a buck or two on amazon but you are contributing to the demise of stores like this one. 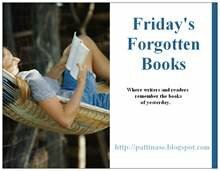 Five books that should not be forgotten...but mostly are. I realize that all of them are family sagas and I guess that is my favorite genre. 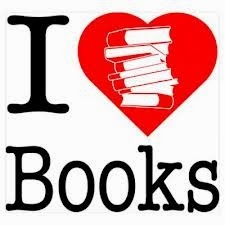 Instead of one long review, I want to mention briefly books (an arbitrary number because there are so many more) that I loved when I read them-many years ago. None are crime novels because although I read many crime novels, the ones that stay with me in a special way are usually this sort of thing. 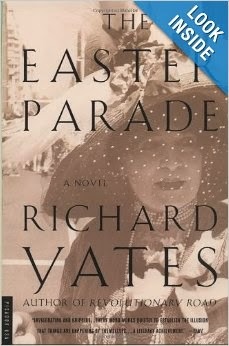 I like this Yates novel almost as much as REVOLUTIONARY ROAD. It is the sad story of the Grimes sisters and their lives over forty years. It came out in 1976 and it's tone if not its exact plot points stays with me still. Yates had a sad life so it's only fitting that his novels reflect that. 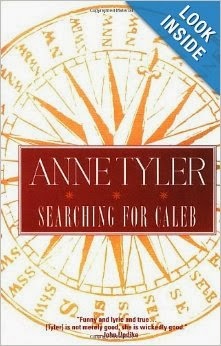 I could have chosen any one of Tyler's first dozen books, which I adored. 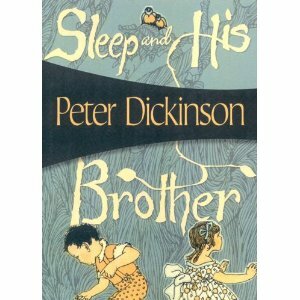 This one is the story of a man searching for his brother who walked out the door many years earlier. Tyler's early books are not about plot. They are about character, place and words. How I loved them. The story of the Neumillers, ,a midwestern family is shockingly forgotten. Many of the incidents began as New Yorker stories. 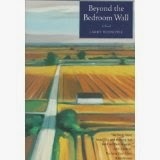 The book was published in the seventies, to fabulous reviews, and reissued in the 1990s. 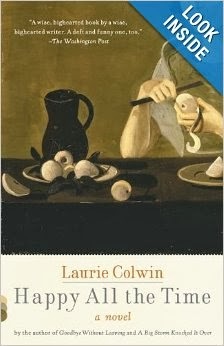 Laurie Colwin wrote wonderful books and died too young. This is my favorite. The story of two couples and their ups and downs. What's the opposite of mean-spirited. Happy all the time. 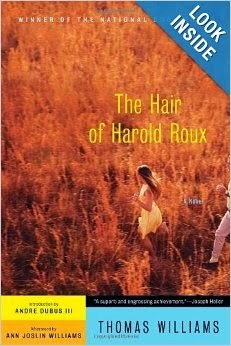 This novel with a novel was considered a masterpiece in the seventies but is forgotten today. 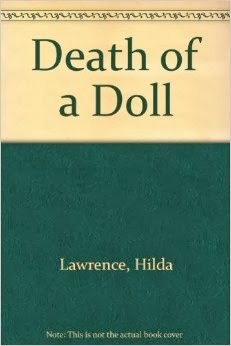 It won the National Book Award. Read it an be amazed. What are you willing to spend money on (other than books)? And I mean more money than you have to spend. I know some very sensible people that have to have a very nice car. I know similarly sensible people that bought a $3000 refrigerator. In the NYT each week, I see that when they talk about a blouse, they are talking about ones that cost $300 dollars. Not bloody likely for this gal. Recently I bought a pretty expensive kitchen garbage can. I was tired of the bag slipping out. Tired of having to nudge the lid off with my elbow, tired of losing a lid that was not connected. Tired of it looking like a remnant from the seventies. I regard this hefty expenditure as well worth it. I am pleased every time I use that can or even look at it. From the map museum in La Jolla, well worth a visit. This is a tourist map but they have hundreds of legitimate maps from centuries ago. What crime novel would you suggest that has a discussable plot. 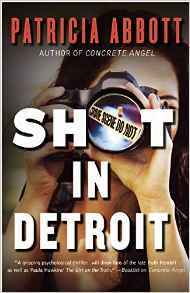 In other words, a crime novel that is about more than solving a crime. I want to suggest one to my group but I can never think of the right one. What crime novel is rich for discussion? No One Has Ever Touched Her: R.I.P. 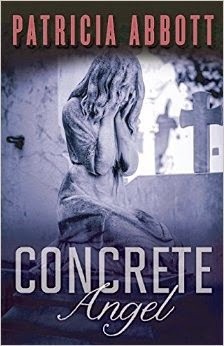 Happy to announce that my novel CONCRETE ANGEL will be published by Exhibit A Books in February, 2015. New agent, Bryon Quertermous, made the deal. This has been a long time coming (more than 100 stories before I had the nerve). And I have many people to thank. My acknowledgements page might be as long as the story. Eve Moran has always wanted ‘things’ and has proven both inventive and tenacious in both getting and keeping them – she lies, steals, cheats and swindles, paying little heed to the cost of her actions on those who love her. When Eve kills a man she picks up in a shoe repair shop, she persuades her twelve year-old daughter, Christine, to confess to the crime. The girl, compelled by love, dependency and circumstance, is caught up in her mother’s deceptions and find herself drawn to her new role. 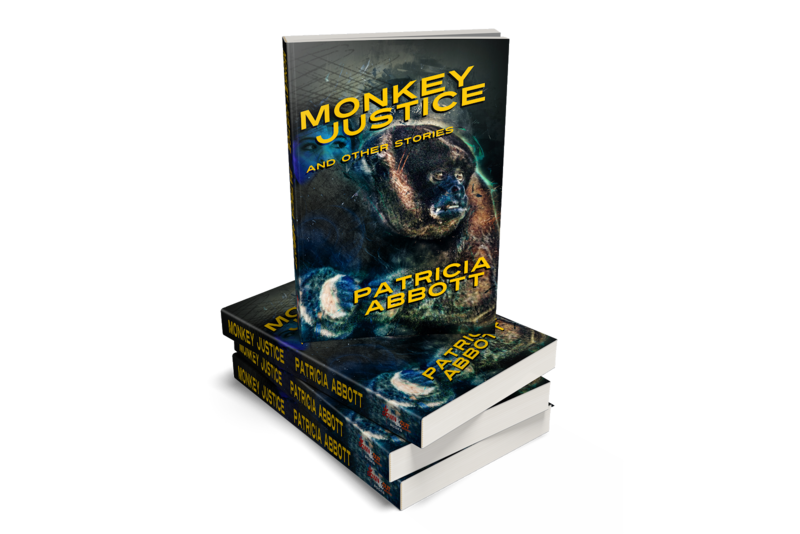 It’s only when Christine’s three year-old brother, Ryan, is drawn into her mother’s deceptions, that she finds the courage and means to bring an end to Eve’s tyranny. 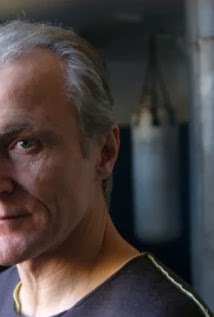 I was going to review THE WARRIORS today, but I fell asleep watching it so instead I will talk about one of its stars in his first movie then, David Patrick Kelly. Kelly grew up a suburb away from us in Michigan and was born in 1951. He has gotten steady work ever since THE WARRIORS, a lot of it on TV and in plays. He generally plays a very angry, threatening guy. He was great in TWIN PEAKS. He was awarded an Obie for his sustained work on the Broadway stage but he often pops up on TV as well. He is also a musician. He is the kind of guy who scares you pretty good. The Falcon and the Falconer-Who is more eye-catching? A real problem here is there are a lot of outdoor restaurants and the birds, sometimes quite large ones, come and sit on your table and partake. The Hotel del Coronado in Coronado has a breath-taking way of taking care of this. Both the falconer and the falcon get attention. Usually the birds just have to spot this falcon to take off. Or maybe it's her red hair. Is this a common way of dealing with thieving birds? Ron continues, after a minor setback over the past few days, to make good progress. Says independence is his goal and is making strides in that direction. We notice each day some forward movement in self-suffiency, which we note and celebrate. Today he went to the kitchen and fixed himself a cup of coffee. Naps are growing shorter and less frequent, and he's started writing every day in a new journal. Also catching up on email and with his blogging buddies. We are looking forward to some good physical therapy to help him regain strength lost during hospital stay and residual weakness from the tumor. Will see oncologist next Weds to discuss treatment. On the phone she mentioned chemo and low-level radiation. This doctor's last name is Kong, and she says yes, it's true, people can't resist calling her Queen. Weather has improved, so patio time is upon us. We are still enjoying having Anne around, and eating her fabulous cooking and laughing at each other's jokes. Thanks to everyone for all the kind words and encouragement--much appreciated! 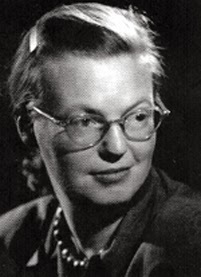 There is so much information about Shirley Jackson online that I won't burden you with it here. 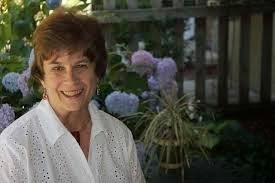 A very nice interview with her son and a reading of her story "Paranoia" appears in THE NEW YORKER. In brief Jackson died at age 48 after a life that was difficult in many ways. She was married to the critic, Stanley Hyman and had four kids. "The Lottery" must rank as one of the most- read short stories in the U.S. And THE HAUNTING OF HILL HOUSE stands at the top of most lists of American ghost stories. Like most other American students, I'm sure, I was introduced to Shirley Jackson's work via her chilling story "The Lottery," surely one of the most famous American short stories every written. This was probably the early 1960s. In 1963 the brilliant adaptation of her The Haunting of Hill House was released (as The Haunting) and it remains (IMHO) one of the best adaptations and horror movies ever made. When I eventually read the book I was even more impressed, especially with the casting of Julie Harris as the central character, Eleanor. I have since gone on to read and enjoy Jackson's collection of other short stories, but as I don't have the book at hand I don't really feel that I can write about it here. I can write about my favorite of her books, however. 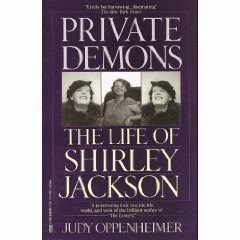 It was in the early 1970s when a friend recommended Life Among the Savages and Raising Demons, Jackson's two thinly-disguised memoirs about bringing up her three (later a fourth was born) children while running a household and taking care of a not very helpful husband in Vermont. No one who has read of eldest son Laurie's adventures in school is likely to forget it. The same goes for Jackson's attempts at learning to drive. Apparently these were published first as separate stories in women's magazines like Good Housekeeping before Jackson edited them into a "novel" and published it in 1952, four short years after "The Lottery" came out and caused such an uproar. If you only know Jackson from her most famous work and want to try something lighter, I would definitely recommend this one. I recently picked up copies of both of her "memoirs" for rereading. This is an amazing novel on my second reading, decades after my first. Its characters are few, they are pretty much nailed to one spot, and not much action takes places. Its high quality depends on Jackson's ability to create characters that speak and act like real people despite being essentially ghosts. 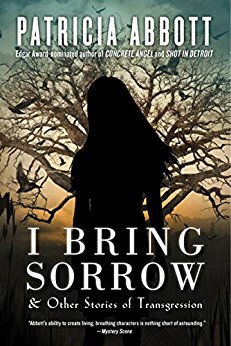 You can easily see the mind that created both THE LOTTERY and THE HAUNTING OF HILL HOUSE in this novel. 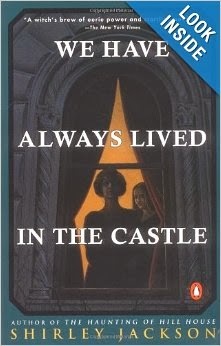 It was her last novel, written in 1962, three years after HILL HOUSE. Prashant Trikannad, "Charles" and "The Witch"
Ron came home from the hospital on Sunday and has been making steady progress. Yesterday and today he's been sitting in the living room (catching up on email and watching a movie) more than resting in bed. Also, no more breakfast in bed, or lunch or dinner, for that matter. He exercises his left hand, and his left leg, slightly weakened, is growing stronger, too. For those who hadn't heard, Ron was found to have a tumor in his brain, which was successfully removed on Jan 30. His memory, speech, and personality are robustly intact. So far, everything looks good. Will know more later this week or early next. Sincerely appreciate your kind words and prayers. Keep 'em coming! We have had many nights of music while in La Jolla this year. We saw an amazing performance of all of the Schubert violin and piano music at the Atheneum here. We have seen early English music in a church. We have attended two nights of jazz performances and a dance performance at UCSD that was outstanding. A lot of this music was free or for very little money. But yesterday we saw a free concert put on by the students at the Idyllwild Academy that topped it all. An orchestra composed of students (and some alumni and guests) performed as professionally as any orchestra I have seen. Henry Hanlin Chen played Francais' Concerto for Clarinet and Orchestra-never had heard it before but it was thrilling. Also astounding (as you can see above) was Bing Yu Hu's performance of Prokovfev's Piano Concerto No 3. The second half featured Shostakovich's 2 Pieces for String Octet, Op. 11 and Tchaikovsky's Romeo and Juliet-Overture Fantasy. All brilliant, perfect, thrilling. And kudos for the brilliant conductor: Peter Askim. How thrilling it must be to work with these students. 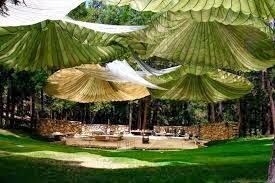 The school,(around for 60 years) is located in the mountains near Palm Springs. It is the only arts-based boarding high school on the West Coast. The students (art, music, dance,creating writing) come from all over the world. They are clearly all prodigies whose parents gave them up to their art. I am always surprised to hear discussions on tv, in movies and in life occasionally about how people in their twenties and thirties don't regard themselves as adults. Now, I know everything is delayed nowadays: marriage, children, a stable income but still. I regarded myself as an adult by age 20 at the very latest. Phil says he regarded himself as an adult when he went away to college at 18. How about you? What year would you choose? Did something happen at that age to make you feel like an adult? Did you parents treat you like a child after you thought of yourself as an adult? I was very excited to be going to Palm Springs last week where I was going to meet up with one of my favorite online friends, Ron Scheer. I had hoped to get up there last year and it never worked out. But this time I had my hotel reservation (with no cancellation allowed) so it was set. And then I got an email from Ron telling me that he had to go to his doctor for some tests. He'd been experiencing some issues that were possibly serious. 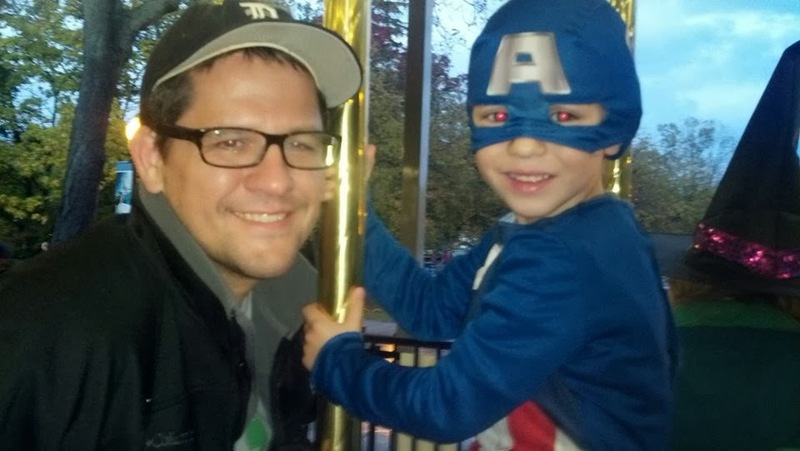 He was diagnosed quickly with an operable brain tumor and our meeting was cancelled. The irony was that my hotel was two blocks from the hospital where he was awaiting his surgery. But who wants to meet someone for the first time under those circumstances, so I didn't slip across the street to see him. Ron is home now after a successful surgery last Thursday where his wife and daughter are taking good care of him. He is feeling stronger every day and we are all so happy about that. I know he would be delighted to hear from you. You can find contact information on his blog. It constantly amazes me how close I feel to all of you who make up our little online circle. But we know each other pretty well by now: know the kind of books we like, where we live, the kind of people we are. If anyone had told me 20 years ago that some of the people I feel closest to are ones I have never met, or only met briefly, I wouldn't have believed it. Here's to Ron and a quick recovery. Hope he is back in the saddle in no time at all. Still watching the Hitchcock films left in this condo.This one comes from 1936. 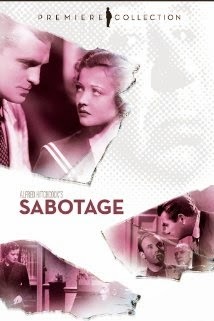 Verloc(Oscar Homolka)is an anarchist bomber in London pre-WWII Sylvia(Sylvia Sidney plays his unknowing wife An undercover police inspector(John Loder) pretends to be a neighborhood shop clerk but is closely monitoring the couple. Also in the household is Sidney's younger brother. There is a lot of suspense in this film, even an early Disney cartoon, Sidney is lovely and Loder makes a great hero. But I could never get past Homolka's performance. Spend five minutes with him and you know he's up to no good. But there are many great scenes and a shocking ending. Worth seeing but I wish Homolka could have played it with more subtlety. Perhaps Hitchcock couldn't bear to not make it clear where his sympathies lay. What are some of the best titles? What title made you want to pick up a book or go see a movie. Here are some of my favorites. 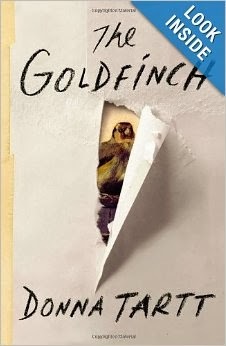 GONE GIRL, BLEAK HOUSE, CROOKED LETTER, CROOKED LETTER, BURY ME DEEP, WATERSHIP DOWN, ZEN AND THE ART OF MOTORCYCLE MAINTENANCE, WE HAVE ALWAYS LIVED IN A CASTLE, TO KILL A MOCKINGBIRD, DAUGHTHER OF TIME, THE DEAD OF JERICHO, A CONFEDERACY OF DUNCES, DO ANDROIDS DREAM OF ELECTRIC SHEEP? Best hamburger I've had in an age in Pacific Beach. Eat and watch the ocean. If you have a minute, check out the great zine LITERARY ORPHANS, which doesn't make a penny from their efforts and still manages to illustrate their stories brilliantly. A class production.